Enjoy the top 2 famous quotes, sayings and quotations by Andrea A. Lunsford. Literature might be called the art of story, and story might in turn be called a universal language, for every culture we know of has a tradition of storytelling. No doubt stories have touched your life, too, from bedtime stories you may have heard as a child to news stories you see on TV or read in a newspaper. We might even say that a major goal of living is to created the story of our own lives, a story we hope to take pleasure and pride in telling. 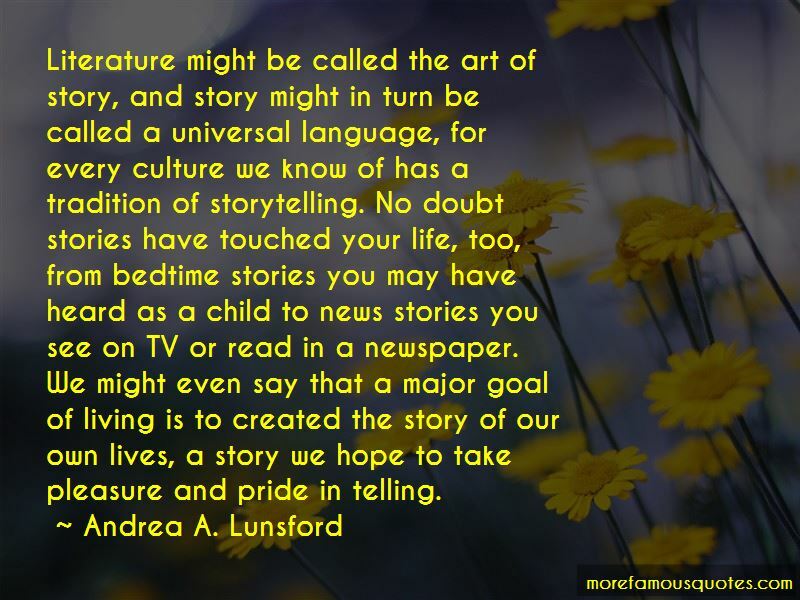 Want to see more pictures of Andrea A. Lunsford quotes? 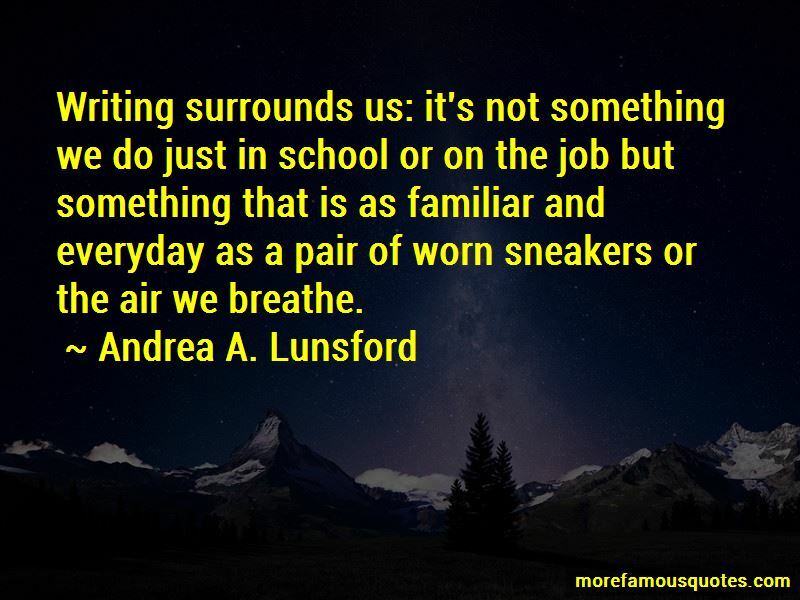 Click on image of Andrea A. Lunsford quotes to view full size.